.Her work and time are divided between speaking gigs (story telling, narratives, improv theater and informing audiences about current social and political topics – full disclosure, she’s a true-blue, FDR liberal), writing (blogging, social media engagement, reporting) and voice work. Oh, and she has more than a passion or hobby, spending time on a home renovation (pretty skilled in the trades). She calls herself a housewife because she’s married to her house, but some day hopes for a happy, amicable and lucrative divorce. Debbie is a passionate speaker, writer, daughter, friend, planet lover, animal protector, greed hater and perpetually perky morning person. She has an annoyingly accurate memory for movie and TV lines – and what you said. Very creative and free spirited. Hi, I enjoyed visiting your site today! The art flows through you in everything you do and say. It is a pleasure to read your posts. Gee, thank you, Paul! 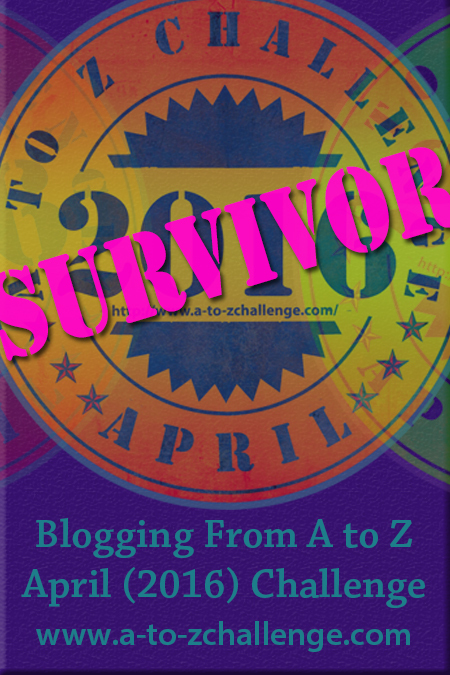 I will be posting 26 in April for the “April A to Z Blog a Day Challenge.” I’m stockpiling posts now.